Nevertheless, the Erie County District Court in Buffalo, N.Y., has vacated the murder conviction of Valentino Dixon, 48, who was serving a 39-years-to-life sentence—the bulk of it in the infamous Attica Correctional Facility—for the 1991 killing of Torriano Jackson. 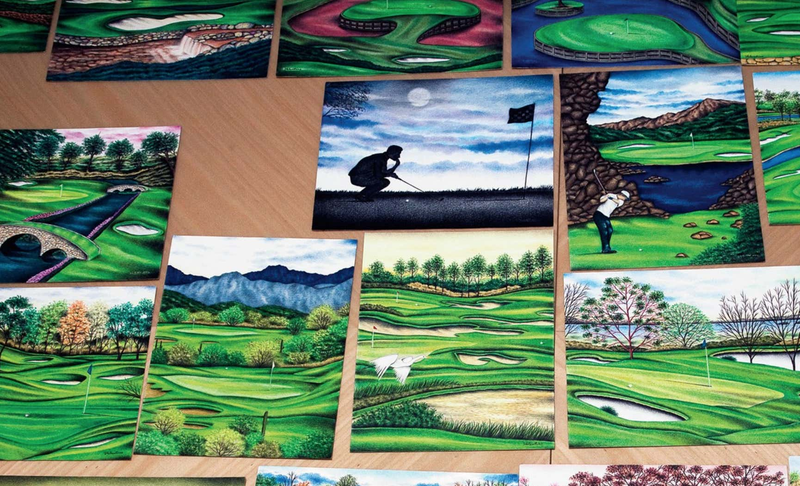 a golfing warden brought in a photograph of Augusta National’s 12th hole for the inmate to render as a favor. In the din and darkness of his stone cell, the placid composition of grass, sky, water and trees spoke to Dixon. And the endless permutations of bunkers and contours gave him a subject he could play with. You should read the whole story but the pictures of the paintings look gorgeous.